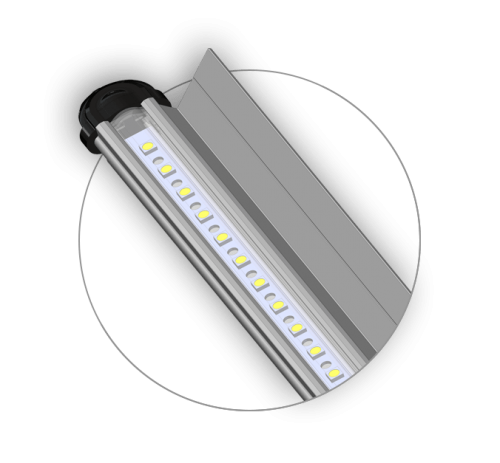 Luma Bar is a leading lighting manufacturer of LED lighting solutions for transportation-related applications. Our origins lie in the design and development of custom LED lighting products for the demanding emergency and military vehicle LED markets. Every product is the result of close collaboration with customers to solve their specific vehicular lighting issues. As a result, Luma Bar products have a variety of customizable design features such as lengths, voltages, mounting options, and a myriad of available colors. We also offer NFPA 1901 compliant lighting solutions. Whether you are looking for military vehicle LED lights, emergency vehicle LED lights, fully waterproof IP68 vehicle LED lights, or roll-up door lights, Luma Bar has a product to meet your needs. Our commitment to quality means that every product undergoes rigorous testing to ensure that all products are robust and fit for purpose. Luma Bar products have a variety of customizable design features, such as lengths, voltages, mounting options, and a myriad of available colors. Whether you are looking for roll-up door lights, fully- waterproof IP68 vehicle LED lights, or interior and compartment lighting, Luma Bar has a product to meet your needs. Our commitment to quality means that every product undergoes rigorous testing to ensure that all products are robust and fit for purpose.